Limited edition of 750 individually numbered copies on orange coloured vinyl. 1967's Mr. 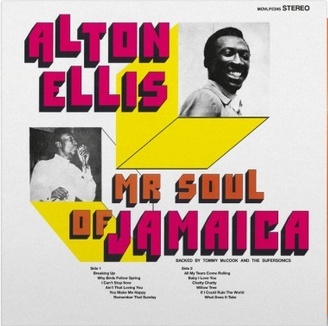 Soul of Jamaica was the first album by rocksteady star Alton Ellis. As one of the innovators of this genre who was given the informal title Godfather of Rocksteady he wrote some original reggae hits which contains a lot of soul. The album is packed with some wonderful, melodic songs, ones that will appeal to vintage reggae lovers as well as soul music fans.